When a nine issue mini series starts in 2010, finishes in 2012 and leaves 2011 as your 'Marvel Book of the Year', you know it's something well worth waiting for. 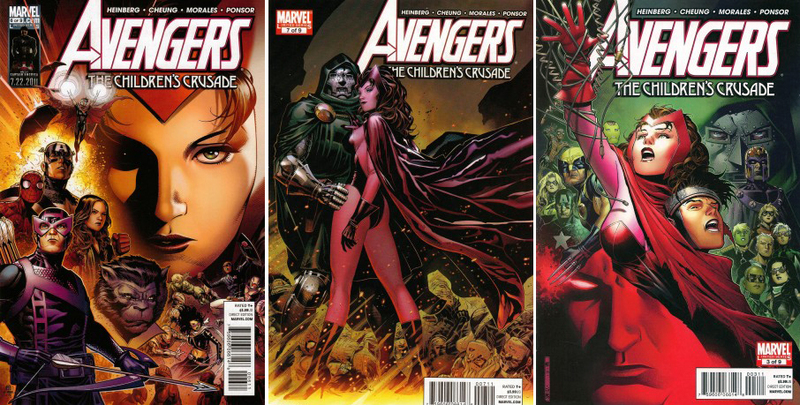 Avengers: The Children's Crusade is just that title, and along with the amazing moments written by Allan Heinberg, the series is stunning to behold thanks to the career-defining work of artist Jim Cheung. How probable is this? 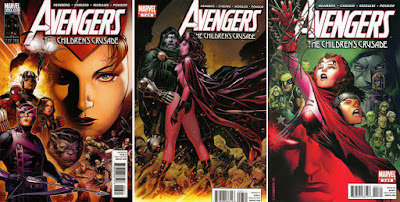 Back in 1995, I was marvelling over how newbie 'Jim Cheung' was drawing Iron Man and the Scarlet Witch in Force Works #17, now almost two decades on, I'm still doing the same - only in A:TCC Jim's talents are seriously beyond Thunderdome. Not quite eastern, not quite western, packed with detail and action - he is unmistakingly one of the modern icons. 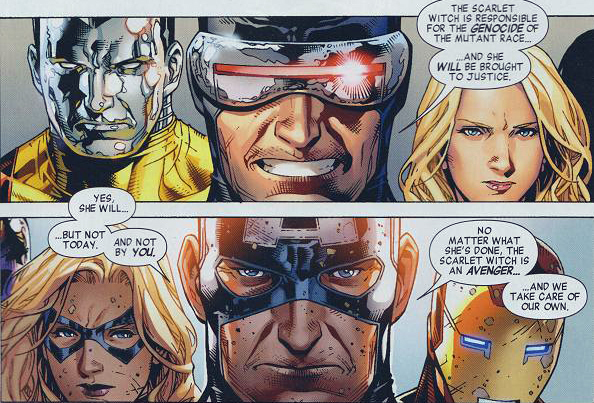 Factor in the amount of faces, places and races you have to draw in ironing out the mess made of the best Avenger going, and you know a book like this isn't for the faint of heart. 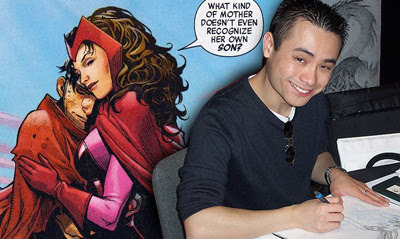 As one of Marvel's oldest characters, The Scarlet Witch's revival had Jim render everyone from Wonder Man to Magneto and more-than moving moments, like Jack of Hearts begging Wanda not to use his corpse as a bomb to ignite Avengers Disassembled. Jim drew every single one without slipping on detail or the relevant pitch-perfect expression required. Just look and see. Chances are, with the mini-series coming to a close you're asking 'What next for Jim?' While I could easily see more of his Captain America, from the way he drew Iceman, Rouge and Colossus this year I'm hoping his future probability leans off towards the 'X'. Rouge #1, you might finally be just on the horizon. You know how much I love this mini-series still I'm still waiting to see what come of Doom. That is not right. If I was nail biter, I whouldn't have nails by now. 9 issues from 2010 to 2012? That is a real "milking of the cow". I'm waiting too Aliera. The white Dr Doom sure was unexpected, but that shot of the teams taking the fight to him as he towers over them is wicked. If it had been monthly it would be brilliant, but im kinda glad they didnt use a fill in artist to keep track. I think that would be worse don't you? Oh yes! I love his art work!